Rapeseed is the third largest source of vegetable oil and second largest protein crop the world. It is sensitive to sulphur nutrition and soil acidity and an important component in crop rotations. Like wheat, rapeseed prefers medium textured soils and a pH of around 7 (neutral). Due to its strong tap root it is suited to many locations, even those with drier and lighter soils. Rapeseed needs 500-600mm of precipitation and an accumulated temperature of about 2600°C for optimum yield. A sufficient supply of potassium in autumn improves its frost hardiness. Higher potash requirement than grain. 30-40kg/ha (75-100kg SO3) sulphur for the first dose in spring. Do not forget boron fertilization! One of the most important factors for guaranteeing a successful rapeseed harvest is sowing the seeds in the most optimal way possible. A fine seedbed, the correct sowing density (40-60 grains/m² depending on variety and sowing date), and the right cultivation dates (15 August to 10 September) are basic requirements for the crop to establish itself successfully. Hybrid varieties tend to be sown later and thinner (40 grains/m²). 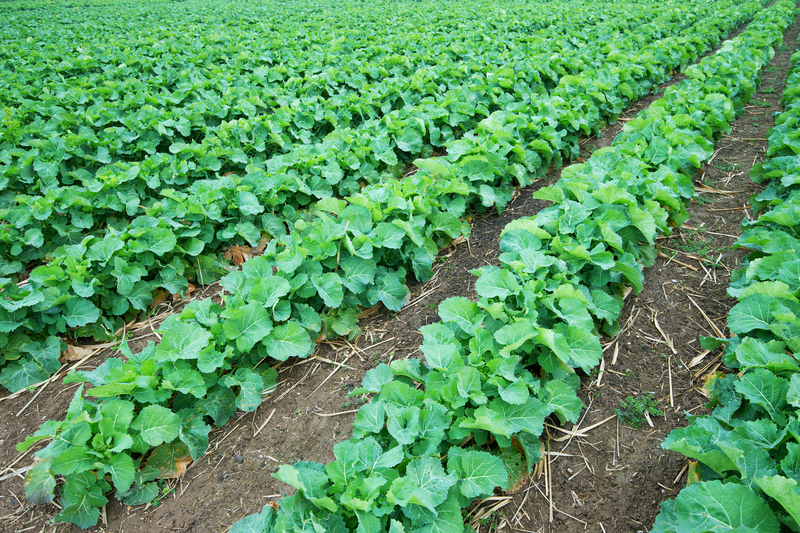 Crop rotation, rooting ability of the soil (rapeseed is especially sensitive to soil compaction and smear layer), optimal fertilization, and precipitation distribution are further factors. In order to achieve high yields, plant protection is of particular importance. Due to its long growth period accumulating significant amounts of biomass, rapeseed absorbs large quantities of nutrients, which must be supplied through the soil and fertilizer. Nutrient uptake during the growth period is significantly higher than the amount of nutrients taken out when the seeds are harvested. The N supply of the soil is not usually enough in autumn for high yields. This makes fertilization in autumn necessary. Organic fertilizers should be used before cultivation. Keeping the availability of nutrients low at the beginning of growth supports the formation of the main taproot. Rapidly soluble mineral fertilizers are recommended from the four-leaf stage onwards. Optimal supply of phosphate is required for sufficient starch accumulation. Phosphorus deficiency on acidic, compacted or waterlogged soils, or at low spring temperatures is evidenced by violet leaf colouring. A key nutrient for rapeseed is sulphur. Approximately 1kg of sulphur (2.5kg SO3) is needed for every of 10kg nitrogen. Sulphur deficiency often causes severe pest infestation. The use of NPK fertilizer with sulphur in autumn and N+S fertilizer in spring ensures sufficient supply. Rapeseed requires lime and needs about five to eight times more than grain. Quicklime (with a low pH) or mixed lime (with a slightly acidic pH) has been proven suitable for cultivation. Sulphur-containing lime fertilizers (for example, gypsum or carbonate of lime with sulphur) would also be appropriate in spring. The extraction quantities are used to quantify the total nutrient requirement. The table shows uptake and extraction per tonne of rapeseed grain yield. According to this, rapeseed primarily needs nitrogen, potassium and sulphur. Phosphorus and magnesium must also be present in appropriate quantities. For example: A rapeseed yield of 4t/ha absorbs a total of 280kg N/ha. If 80kg N/ha is provided from the soil ), then another 200kg N/ha would need to be added as fertilizer. The harvested grain would extract 172kg N/ha from the field. Rapeseed needs its nutrients in stages. Therefore, it is recommended to split it into at least three applications. A strong root system, optimal, not too vigorous autumn growth (>1cm root neck diameter and 8-12 leaves), uninterrupted and lush spring growth between shoots and the beginning of flowering, and a harmonious nutrient- and water supply from the beginning of flowering to the end of maturity are important yield determining factors. Rapeseed already needs a third of its nutrients in autumn. Factors that determine a good yield (flowers on the side shoots) are already created in autumn. Ideally, the plant consists of 8-12 leaves before the dormant period and has a strong tap root (>1cm root neck diameter). The tap root is functionally important for regeneration in spring, to start growth as soon as possible. Good winter hardiness is ensured by a sufficient supply of potassium. Rapeseed can also be fertilized in autumn with nitrogen, regardless of the preceding crop and sowing date. If some crop residue from the harvest of the preceding crop has not yet been decomposed, the soil is often not able to supply enough nitrogen. Too much nitrogen can cause the stock to grow too much, which leads to a lifting of the vegetation cone (meristem) of the plant and thus to a massive reduction in winter hardiness. The first dose at the beginning of the growth period is used for the regeneration of the leaf rosette and promotes the already formed leaf and blossom plants on the vegetation cone (meristem). In addition to the formation of flower buds on the side shoots, it supports the growth in length of the main shoot and the subsequent branching of the plants. A combined fertilization of nitrogen and sulphur yields more than nitrogen alone. Underdeveloped stocks with less than six leaves require enhanced fertilization, while more highly developed plants will have already taken in more nutrients in the autumn and are therefore fertilized less. A stock of 30 plants/m², with 12 leaves and a root neck diameter of 15mm, will have already absorbed 100-130kg N/ha, while plants with eight leaves and 10mm root neck thicknesses will have absorbed about 40-50kg N/ha at the same stock density. In underdeveloped stocks, 80-100kg N/ha are appropriate while well-developed stocks should receive at least 50-70kg N/ha as a starting dose. The second and last spring fertilization should take place end of March. This promotes the growth in length of the side shoots. It ensures a supply of nitrogen to the flower, ensures fruiting and the attainment of a high pod and seed count. Until flowering, rapeseed stock absorbs about 75% of the total nitrogen. As no appreciable replenishment can be expected with the still low soil temperatures, the second dose should be given in time before the emergence of the flower buds. The plants will now be 15-25cm tall. The level of the last nitrogen fertilization depends on the amount administered previously. Stocks that have developed sufficiently over the winter and are therefore only slightly fertilized, receive most of their nitrogen in the spring in the second dose. However, underdeveloped or late-fertilized stocks receive about 2/3 of the N amount in the spring in the first and 1/3 of the N amount in the second dose. A sufficient supply of potassium is of great importance here, the plants now take up to 7kg/ha potassium daily.